A seersucker suit is what we call as a suit made up of a simple man's material that came as a helping hand for poor men during its earlier days. 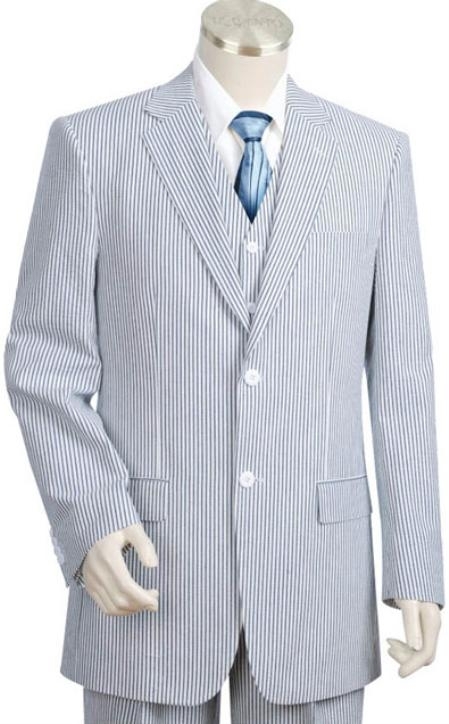 We can call seersucker as a material that was got for a very cheap price and they are now used to make the most pricy suits and other mens clothing. We are able to find a big deal of difference in the material's fashion life cycle. As it was born to favor the poorest of the poor during its early days we would have never thought that it would climb so high into the fashion world so that it can cost a fortune to own a seersucker suit these days. It is quite surprising to know that it was a fabric that was used as the nurses' uniform during the second word ward period. Hope that the special comfort of this full cotton fabric might have been the most useful and suitable or a tiring and demanding job like that of the nurses during that war period. 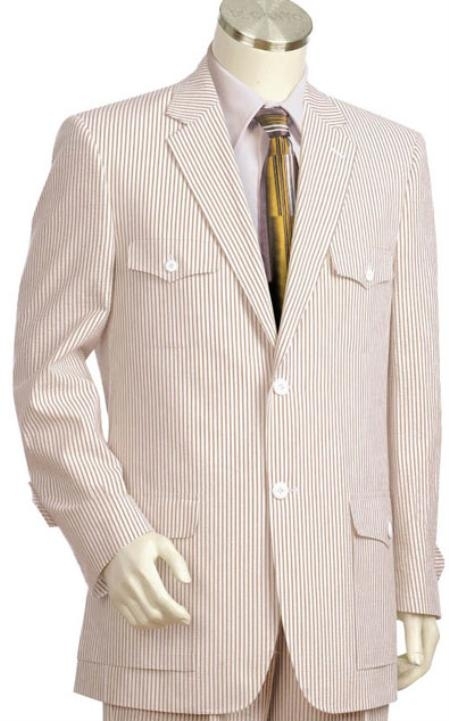 Seersucker suit is one mens clothing invention that has taken an important place in today's fashion industry and is still capable of enjoying further more status for its qualities and chic looks. What more to tell about this working class favorite choice other than pointing out its beneficial facts? This full cotton fabric is the right kind of a choice for anything other than suits and is widely used by both men as well as women for its super comfortable feel. Seersucker suit is a high time fashion statement that men fancy lately as they are cool and casual enough to make someone smart instantly. We can say that the secret behind this evergreen look is the quality of the material and the craftsmanship. SKU#WQ2145 Mens 2pc 100% Cotton Seersucker Suits Green Color whitelime mint $189?